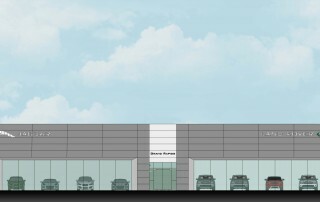 2 new mixed-use buildings, 61,300 SF at the NW corner of Lake Michigan Drive. Renovation, refresh and refinish of the existing 32,220 SF facility and a 19,500 SF new construction. New 100,000 SF facility. 8900 E. Michigan Ave in Comstock Township. New 20,595 SF building built on the Eastern end of the existing Sharpe property. New construction, 3 cabins and a 1,800 SF Unit House. Renovation of 122 Grant Street. Renovation of the existing BMW Showroom, Customer Lounge and Admin Area. $1.3M. 30,000 SF Family Health Clinic in Cassopolis, MI. $4.5M. High School renovation of shop class to a Student Health Clinic. $230K.